Yesterday we talked about the family purpose doctrine. Today we’ll discuss another way to hold someone besides the driver in a car accident liable for damages - the theory of negligent entrustment. Under the negligent entrustment theory the owner is held liable, not for any imputed negligence, but by reason of his own independent and wrongful breach of duty in entrusting his automobile to one he knows or should know is likely to cause injury; proof of negligence of the driver merely furnishes the causal connection between the primary negligence of the owner and the injury or damage. So there are two elements that must be proven to establish negligent entrustment. First, the plaintiff must show that the defendant “entrusted” his automobile to the driver. And second, the plaintiff must show that the defendant knew or should have known that the driver was likely to cause injury. In order to show that the defendant “entrusted” his automobile to the driver, the driver must have the defendant’s authorization or consent to drive the vehicle. There has been limited case law analyzing what “entrusted” means in North Carolina. The Court of Appeals has recognized that “our Courts do not appear to have applied the doctrine of negligent entrustment in a situation where the vehicle was operated without the owner's knowledge or consent.” The reasonable foreseeability that a person known to be a reckless driver might borrow the car without permission does not constitute entrustment; there must be actual authorization or consent. Therefore, in the case Hill ex rel. Hill v. West (2008) where the borrower of the car testified that she had no reason to believe she had been authorized to drive the car, had never been given the keys, and had never driven the car before, the theory of negligent entrustment was not applicable. North Carolina courts have been unwilling to extend the theory of negligent entrustment to someone who is not the owner of the borrowed vehicle. The North Carolina Court of Appeals discussed extending the theory of negligent entrustment in the 1998 case, Coble v. Knight. In that case, Daniel and his friend William were drinking alcoholic beverages over the course of a few hours. They then stopped at a gas station, and Daniel locked his keys in the car. He called his father and asked him to bring the spare keys to the car. His father drove to the gas station and gave the spare keys to Daniel. Shortly after that, Daniel was involved in a car accident, which killed William, who was a passenger in Daniel’s car. although the father in this case did not have legal ownership of his son's automobile, he did have "actual control" of the vehicle because he possessed his son's spare keys. Following this logic, the estate urges us to extend liability under North Carolina's negligent entrustment theory to include not only owners of vehicles, but "anyone who provides the keys and control over an automobile to another who may be too intoxicated to drive." Often the same facts will lend themselves to liability under both the theory of negligent entrustment and agency theory (or respondeat superior). North Carolina courts have held that in the event that both theories are raised, “the liability of the defendant … would rest on the doctrine of respondeat superior only and the negligent entrustment allegation would become irrelevant and prejudicial.” The reasoning behind this rule is to keep out evidence of the driver’s past negligence since it would be relevant to show that the owner knew or should have known of the driver’s likelihood to injure others but would not be relevant to show the driver’s negligence in that particular instance and might prejudice the jury. The exception to this general rule of law is when a claim for punitive damages is raised for the willful and wanton entrustment of a vehicle to a person who is likely to injure others. G.S. 1D-15(c) states that “Punitive damages shall not be awarded against a person solely on the basis of vicarious liability for the acts or omissions of another.” However, the theory of negligent entrustment is not a vicarious liability. It is the owner’s “own independent and wrongful breach of duty in entrusting his automobile to one he knows or should know is likely to cause injury.” Punitive damages are not awarded based on mere negligence. To hold the owner of the vehicle liable for punitive damages, the plaintiff must show that the owner acted willfully and wantonly in entrusting his vehicle to the driver. 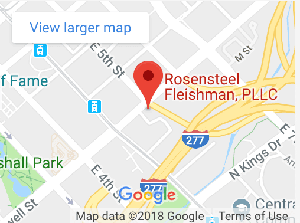 If you have been injured in a car accident, contact a lawyer at Rosensteel Fleishman, PLLC (704) 714-1450.